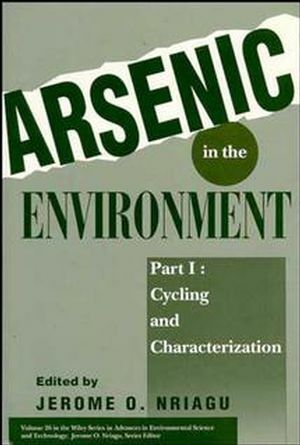 Offering a host of subjects of particular interest to toxicologists, medical researchers, public health officials, and industrial hygienists, Part II of Arsenic in the Environment is an indispensable reference that sheds new light on arsenic's unique chemistry as well as its health and environmental effects. JEROME O. NRIAGU is a professor in the Department of Environmental and Industrial Health, School of Public Health, the University of Michigan, and an adjunct professor at the University of Waterloo. For many years he was a research scientist with the National Water Research Institute, Burlington, Ontario. He is the editor of the Wiley Series in Advances in Environmental Science and Technology and has edited, among many other volumes, Nickel and Human Health, Food Contamination from Environmental Sources, Gaseous Pollutants, and Aquatic Toxicology. Dr. Nriagu received BSc and DSc degrees from the University of Ibadan, Nigeria, an MS from the University of Wisconsin, Madison, and a PhD in geochemistry from the University of Toronto. He has published extensively in leading geochemical and environmental science journals and has received a number of awards for his work. lie is a Fellow of the Royal Society of Canada. Arsenic in Human Medicine (M. Gorby). 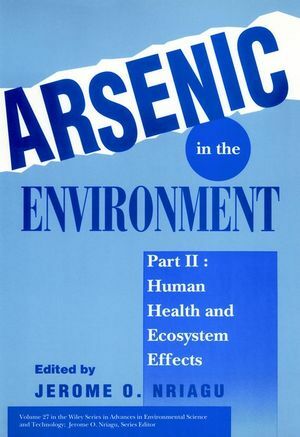 Health Effects of Environmental Arsenic (W. Morton & D.Dunnette). Toxicity and Metabolism of Arsenic in Vertebrates (S. Naqvi, etal.). Effects of Arsenic on DNA Synthesis in Human Lymphocytes (Z.Meng). Chronic Arsenism from Drinking Water in Some Areas of Xinjiang,China (W. Lianfang & H. Jianzhong). Estimation of Human Exposure to and Uptake of Arsenic Found inDrinking Water (H. Xu, et al.). A Review of Arsenic Hazards to Plants and Animals with Emphasis onFishery and Wildlife Resources (R. Eisler). Arsenic in Marine Organisms: Chemical Forms and ToxicologicalAspects (K. Shiomi).